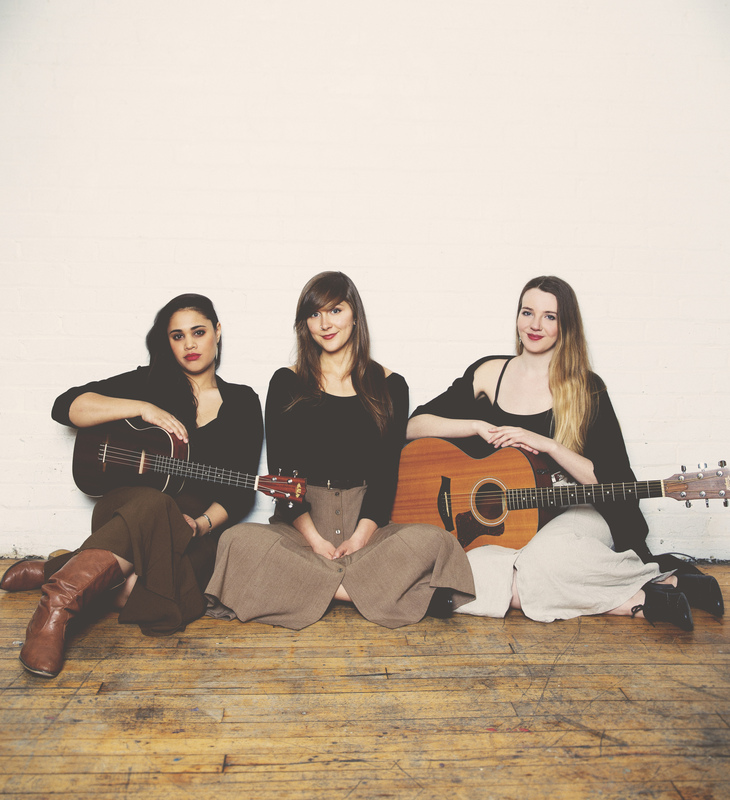 Jill Harris, Lydia Persaud and Meg Contini make up The O’Pears, a Toronto-based contemporary folk trio. Jill (Vocals/Guitar), Lydia (Vocals/Ukulele) and Meg (Vocals/Percussion) create music that is not only soothing, but it’s also catchy, sassy when it needs to be and straight from the heart. It’s the type of music you can listen to when you’re reading a book and need to relax, but also the type that suits a Saturday sing-a-long. Located in Canada’s most diverse city, The O’Pears are working to bring back the classic sounds of the 60s and 70s, with some added new-age folk in the mix! Your EP, Our Own, was released in July 2013. Was this the first time that you created music for purchase? What was the most exciting part of this initial project? Yes it was! Our Own really was the start of The O’Pears. We began writing and recording that EP before we had settled into the fact that we were a band. Once it was finished, it only made sense to begin performing it and that initial excitement led us to playing more. You released your first album in September 2016, Like Those Nights. It’s available for sale on iTunes. Describe the kind of work that went into making Like Those Nights. Like Those Nights was a three-year labour of love. Each of us had brought original songs to the group over those years, and eventually we realized that we had a collection of songs that worked together for an album. We were fortunate enough to receive a grant from Ontario Arts Council and that gave us the ability to work with a wonderful production team, additional musicians and record in a beautiful space. There is a common misconception that being a musician is all fun, no work! What do The O’Pears do to shift that perspective and celebrate the hours spent on making an album, performing, running a brand, etc.? Haha, yes we have heard that a lot! There is so much work that goes into running a band/business. Over the five years that we have been a group, we’ve taken on the roles of tour manager, grant-writer, graphic designer, accountant and publicist, among other jobs. You learn a great deal when you’re forced to do it all, and there’s a lot about it that we’ve grown to love. We try as often as possible to take a step back and appreciate that all of those hours are going into something we’re deeply passionate about. How do you hope The O’Pears brand and music influences young women, like yourselves? All of our songwriting comes from our life experiences as women. We’ve shared our stories with each other, and then translated them into our songs. One thing we’ve enjoyed doing and continue to do whenever we can is giving workshops in schools. We do our best to encourage young people to follow their musical dreams. It’s always inspiring to see women working in music, and we try to be that inspiration for young women hoping to become musicians. The O’Pears are also active on Facebook, Twitter and Instagram. Which social media platform do you find brings your brand the most attention, awareness and engagement? We’re the most active on Facebook and Instagram and find that both are helpful tools in letting people know about what we’re up to and getting our music to new ears. Unfortunately, our Twitter doesn’t get a lot of love these days (thanks for reminding us that we still have a Twitter)! Being a Neo-Folk band based in Toronto, which of that city’s venues can our readers find The O’Pears? We love unconventional venues like people’s’ homes/backyards, yoga studio, and churches. However, you can find us on December 2 at Burdock, which is an amazing venue in west-downtown Toronto. Are there any additional upcoming shows in the works? Besides the Burdock on December 2, we are playing on November 4 at The St. Lawrence Acoustic Stage in Ottawa, November 8 with Tempus Choral Society in Oakville, opening for Joey Landreth for the DT Concert Series in Paris, ON on November 16 and December 19 with The Lifers in Guelph. The O’Pears. Photo by: Mark Robinson. Where do you go to find inspiration for your music? Our own experiences, listening to music and going to see live shows. The O’Pears have a very unique sound. It’s easy to hear the influence of 60s and 70s artists like The Ronettes, but with a folky twist. What about this mix of classic and folk appeals to you? That’s a lovely compliment! We’re so inspired by a variety of genres and have always allowed our influences to come out in our sound. We actually met in a 12-piece R&B and Soul band. The way that we developed our sense of blend and harmony together was through emulating the 60s and 70s Stax Records sound. When we started The O’Pears, we brought in more of the folk harmony that we all loved. What about your music do you think resonates with your listeners? Our harmony, sibling-like blend and our honest songwriting. Growing up, what was your favourite band? Why? Do you still like them today? We definitely still listen to a few of these artists, but some we just love purely for the nostalgia. We have an appreciation for all the music we listened to growing up, because each artist has shaped us in some way. Before The O’Pears, what types of adventures did you lead/what kind of work did you do? Before The O’Pears, we spent most of our time in school! But we also had many part-time jobs and hobbies including working at camps and performing in musicals. Do you spend most of your work hours on The O’Pears? Do you belong to any other groups, bands, companies or organizations? If yes, what? We play music in quite a few bands! All three of us are in Toronto cover band Dwayne Gretzky, Lydia performs as Lydia Persaud, Jill performs as Illyin Pipes and Meg performs with The Intentions and works as a Registered Massage Therapist in the city. What do you hope the future of The O’Pears will consist of? There are so many places we’d love to tour and folk festivals we would like to perform at. In general: more writing, recording, performing and touring. What advice do you have for other young artists looking to make their way into the Canadian music scene? Keep pushing to be as creative as you can. We are always growing and realizing that there’s so much to learn, which makes us work harder. And make friends who love music! There are so many wonderful musical communities all over Canada, and we all support one another. Thank you for sharing your story in such an honest and sincere way, Jill, Lydia and Meg! We can’t wait to hear more of your work. For more information about The O’Pears visit their website at www.theopears.com, find them on Facebook at facebook.com/theopears, visit them on Instagram and Twitter via @theopears.